Abandoned vehicles can mean administrative actions for Soldiers and civilian employees. Dispose of inoperable vehicles properly before relocating to another duty station. 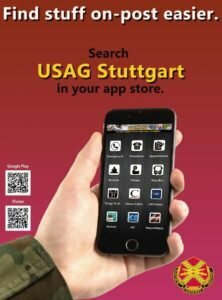 KAISERSLAUTERN, Germany — When you’re relocating back to the States or to another overseas assignment, you’ll leave friends, coworkers and your community behind — but one thing you shouldn’t leave behind is an inoperable vehicle. That’s right. 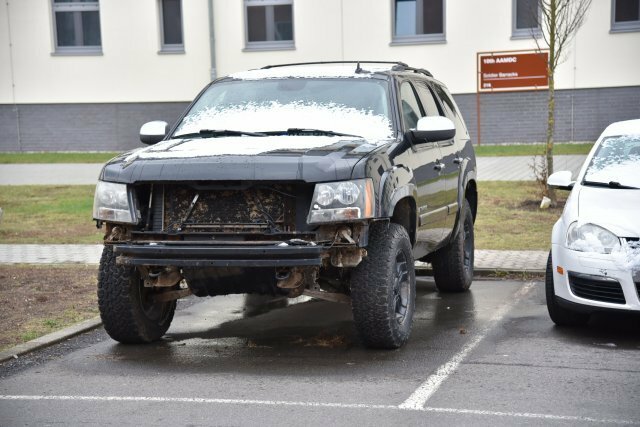 You’ll have to find a home for your broken down car, because it’s your responsibility to take care of your U.S. Army Europe-registered vehicle before you depart your duty station, said Staff Sgt. Robert Brech, a Traffic Management and Collision Investigations supervisor with the U.S. Army Garrison Rheinland-Pfalz Directorate of Emergency Services. Last quarter, DES disposed of 72 inoperable vehicles from garrison installations — which is not free. Within the Baumholder area, towing fees are $100, $125 within the Kaiserslautern Military Community and $275 outside of the KMC (Germersheim Army Depot and Coleman Work Site). 2. Sell. If an owner sells a vehicle to another person with ILS, the vehicle must have a valid one- or two-year registration. The garrison provost marshal may authorize the transfer of vehicles having a temporary or non-operational registration with approval by both the seller’s and buyer’s commanders. Vehicles may be sold to another person without ILS or agency as well. This includes local-national civilians, vehicle dealerships or junk yards. However, the sale must receive clearance through the U.S. Forces Customs Office before it can be finalized. Although there is no “Leave it” option, unfortunately, that is what some Soldiers have done in the past — but it comes at a price, Brech said. Both Soldiers and civilians can have their USAREUR driver’s licenses suspended for 90 calendar days for having three or more offenses of owning an unregistered vehicle within a five year period. “If an owner is unable to ship his or her vehicle or dispose of it in an authorized manner before departing, the individual can appoint an agent to do so for them. This is done at any of the vehicle registration offices with the owner and agent present. This does not, however, relieve the owner of any legal responsibilities for the vehicle. Owners who appoint agents need to ensure they are people they can trust to carry out their plan for the vehicle in a timely manner,” Brech advised. Vehicles suspected of being abandoned can be reported to the MPs. “Properly disposing of your privately-owned vehicle before you move keeps you from being subject to UCMJ or Civilian Misconduct action at your new duty station,” Johnson said.